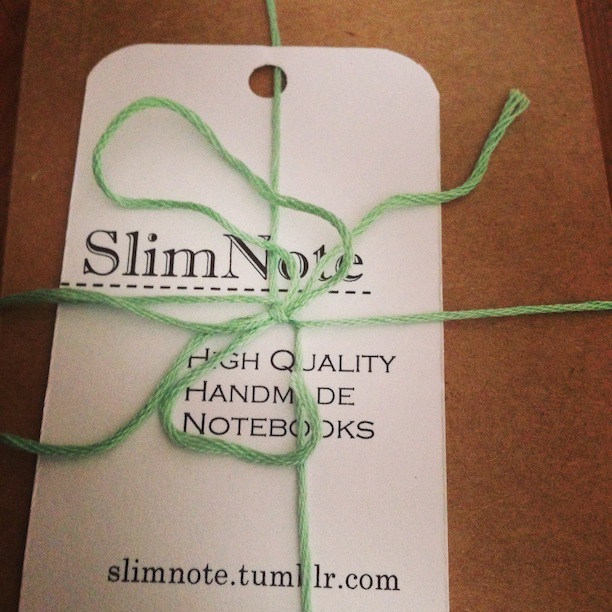 SlimNote pocket notebook review – Pens! Paper! Pencils! 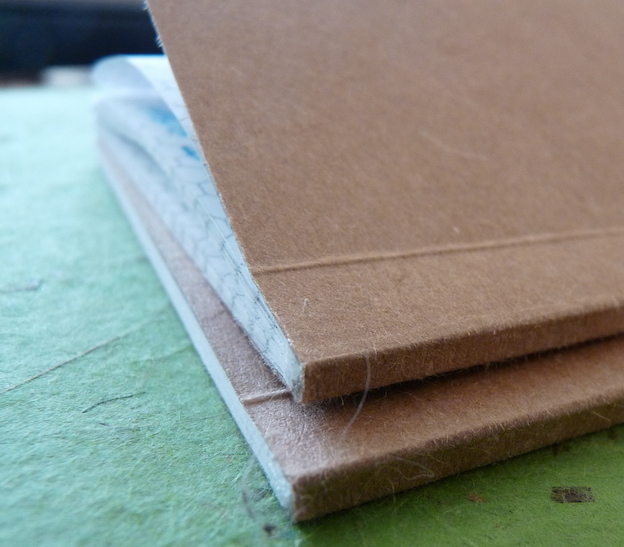 SlimNote pocket notebooks are handmade by Tiny TOE Press. They are 3.5 by 5 inches, 50 pages, plain except for the rather mad hex set. Thus very pocketable and lovely. 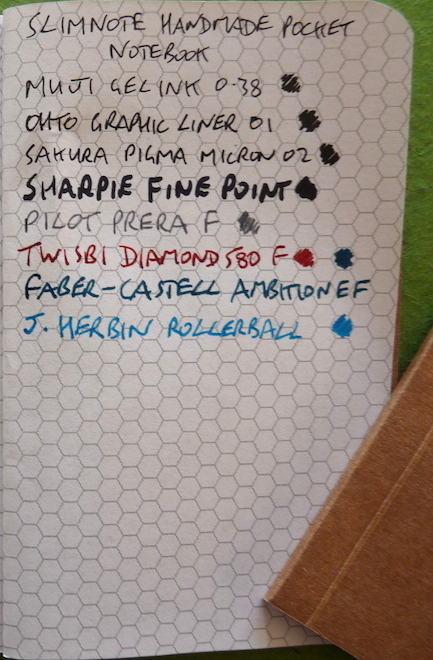 The paper is reasonably friendly to fountain pens. 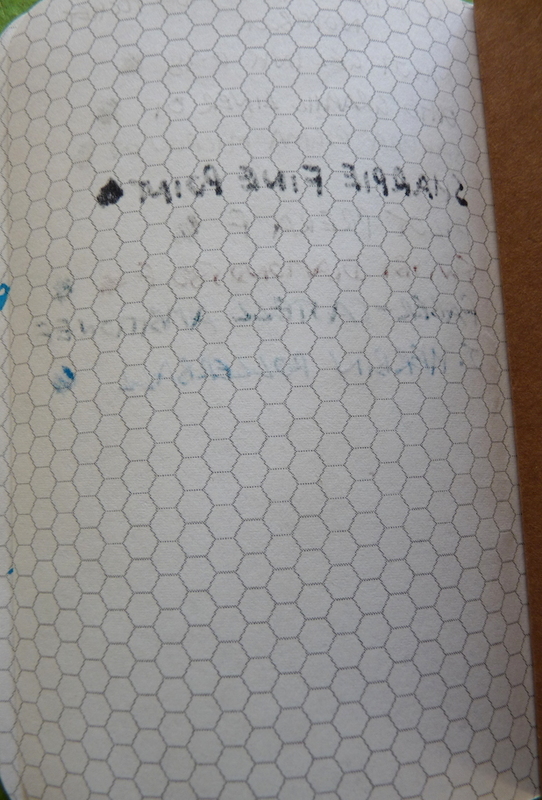 As the samples show, there is a little feathering and bleeding with wetter pens. 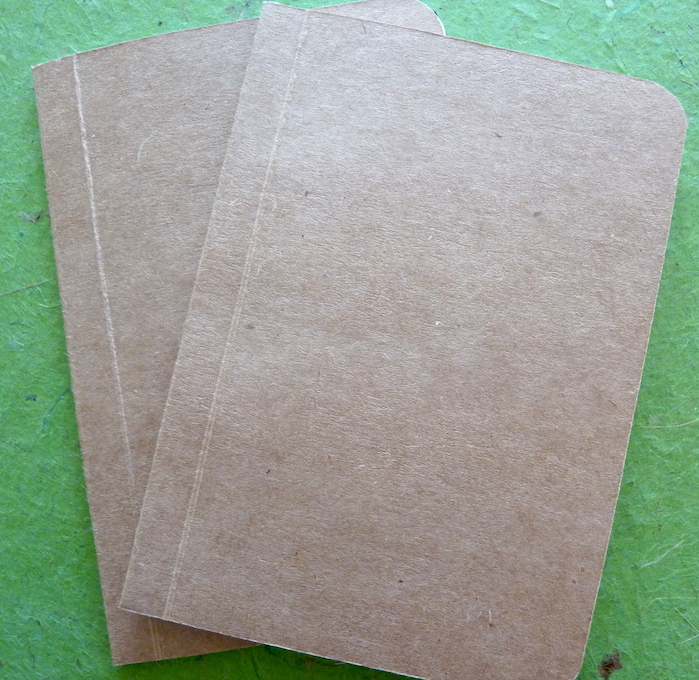 It is perfectly possible to use these notebooks with the right kind of fountain pen though. 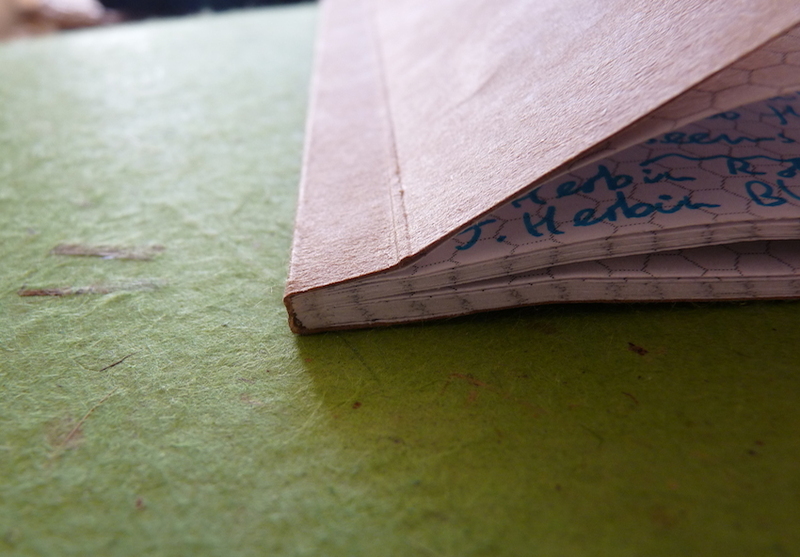 The binding makes me a little nervous but it seems that that nervousness is misplaced as the notebooks have held up to a fair degree of mistreatment. SlimNote notebooks will lay flat with a bit of a push. 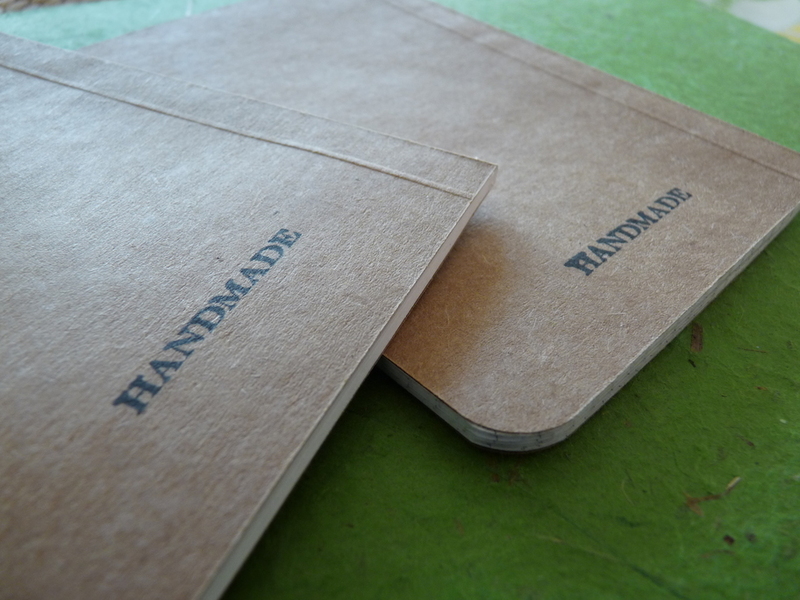 All in all, these are lovely little notebooks. Isabel suggested them in the comments when I reviewed some Calepino notebooks. They won’t replace Calepinos for me but I’m glad to have found them and to have some to hand. Thanks Isabel. They will be used and I will no doubt order some more.